Clients can avail from us Designer Sweaters as we are a leading manufacturer, supplier and exporter of Designer Sweaters. Designer sweaters are fashionable in which knitted sweaters are designed to fulfill certain, aesthetic, functional and commercial criteria. 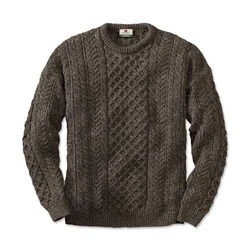 The factors considering in making designer sweaters are neckline convenience and cut, colors, patterns, silhouette and style lines and insulating power of the sweater. Clients can avail from us Designer Sweaters as we are a leading manufacturer, supplier and exporter of Woolen Sweaters.Designer sweaters are fashionable in which knitted sweaters are designed to fulfill certain, aesthetic, functional and commercial criteria. The factors considering in making designer sweaters are neckline convenience and cut, colors, patterns, silhouette and style lines and insulating power of the sweater. Looking for Designer Sweaters ?